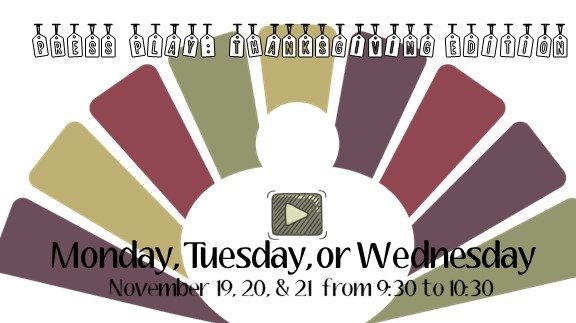 Join us Monday, Tuesday, or Wednesday for a special Thanksgiving edition of Press Play. There will be no regular Storytime this week. The room will be open for kids 18 months-4 years, with their caregiver. Older and younger siblings are welcome. No registration is necessary.